Varadero, Cuba is the country's pride and joy for its sandy beach which is a magnet for both the rich and famous as well as the more discerning traveller, families or those who are looking for fun in Cuba's most popular resort. Located in the Matanzas province, Varadero is a thin strip of land stretching 21 km with beaches on both sides with surrounding seas that constantly change colour from light turquoise green through to shades of navy blue. The first Creole and Spanish settlers laid their roots there in the second part of the 18th century. The name Varadero was originally the name of one of the estates and the name eventually spread to be that of the whole beach. Although tourism dates back well over a hundred years in the area, Varadero really began to build itself up as a tourist resort in the 1940's after Federico García Lorca had visited the area and told everyone how he was spellbound by its incredible beauty. Despite the range of resorts and hotels that stretch the length of Varadero, the beach still maintains a natural tranquillity with an average annual temperature of a very warm 25 degrees Celsius both in and out of the water. Varadero is easy to navigate on foot with the main roads being Autopista del Sur, Kawama, Primera, de la Playa and Las Americas and the roads which cross it in increasing numbers. 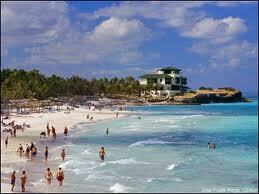 The beaches and calm waters attract families and couples, but there are many others who also enjoy Varadero. Cuba is known for its many caves of which there are many in the area, including the well known Bellamar and Ambrosio caves and the country's oldest cactus which had already been growing some years before the Columbus and the Europeans arrived and is now the size of a tree. Divers enjoy exploring the Cayo Piedra underwater park where they can explore shipwrecks as different sized and coloured fish swim past and there is also sailing or big game fishing available. Jet skiing and skydiving provides an adrenalin rush for some visitors whilst others work their way through 18 holes at the golf club and those looking for some retail therapy can find relief in the form of the Plaza América shopping centre. A short drive from Varadero beach are the cities of Cárdenas and Matanzas which provide a change of scenery offering culture and history for those looking for a break from the golden sands including the El Morrillo castle just outside Matanzas and the different display monuments at Cárdenas, the city of bicycles. The aforementioned Cuevas de Bellamar (Bellamar caves) is a network of caves which includes one of the largest caves in the Caribbean. The caves date back 300,000 years and stretch across 2.5 km. They contain many interestingly shaped stalactites, stalagmites, calcite crystals and even an underground stream. The Cueva de Ambrosio (Ambrosio cave) is the other famous cave in the area, containing nearly 50 well preserved pictographs in black and red colours. In its past, the cave has been used as a ceremonial site and as a hideout for runaway slaves. Green area which doesn't see golfers is the Josone oasis which is a small park of gardens and lagoons where a number of restaurants which were converted from mansions. 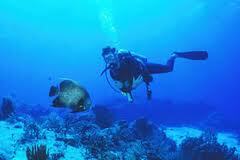 The nearest ecotourism area is the Zapata Peninsula, southwest of Varadero, Cuba.